We provide Enable / Disable Section feature on our Customizer. 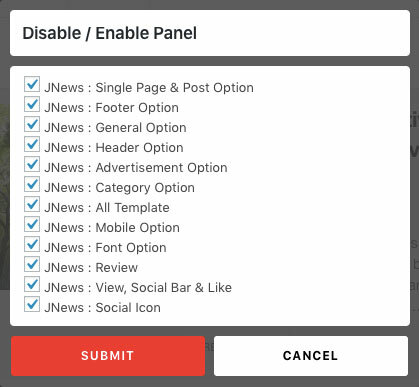 With this feature you will have the ability to enable and disable section of a certain customizer panel option. This feature will increase the speed of customizer loading time on your backend because the customizer will only load the enabled section. We recommend you to enable only necessary panel, so you can reduce the loading time and can quickly start making changes on your website.